Our Mother of Confidence Date Night! Our Mother of Confidence > all are welcome, date, Date Night, dinner, fellowship, free, gathering, valentine, valentine's > Date Night! 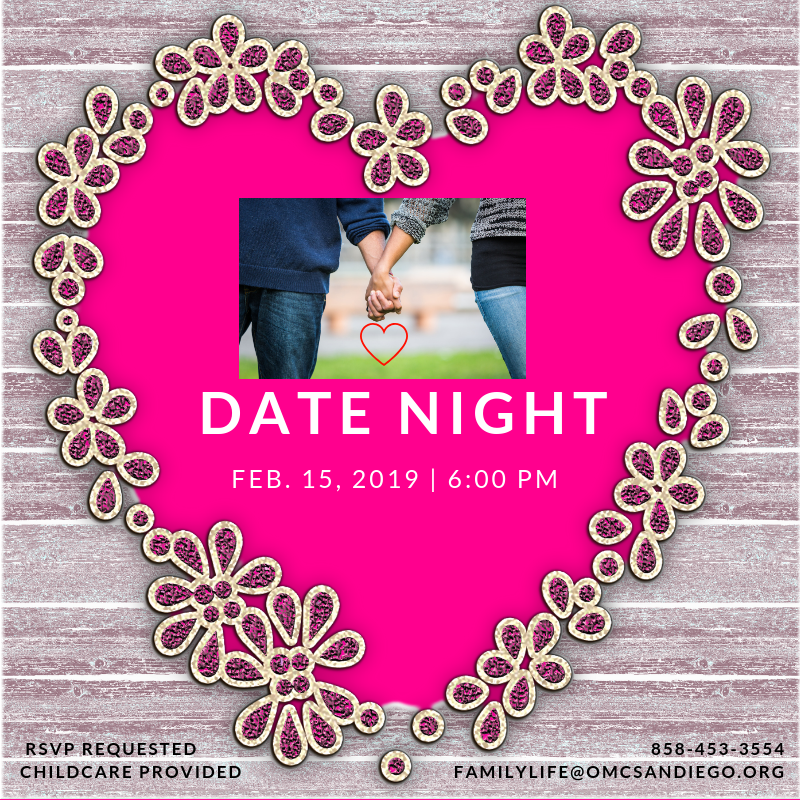 OMC’s Marriage Ministry invites you to Date Night Valentine’s Style! You and your honey are invited to an evening of food and fellowship. This is a no cost event. Childcare is provided. RSVP is requested and appreciated.